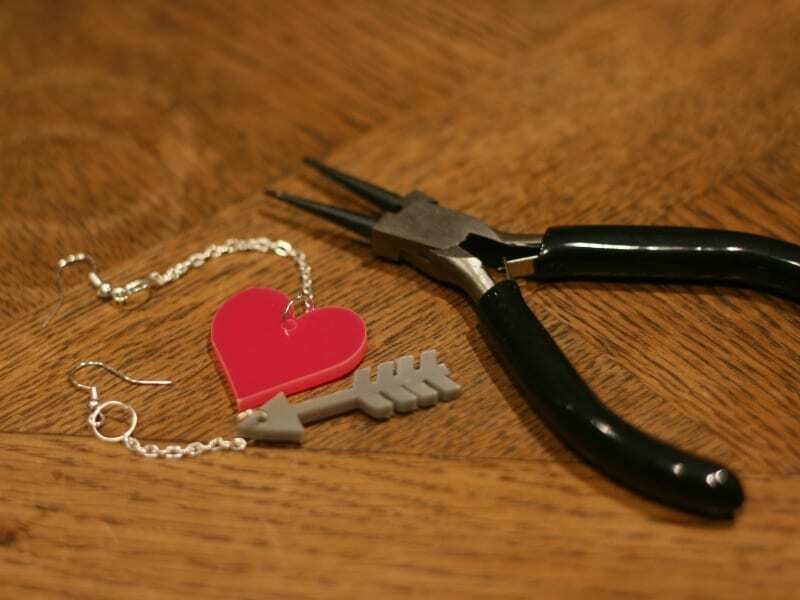 As you probably know, I’m a huge fan of the acrylic jewellery that Black Heart Creatives makes. What’s not to love? The designs are clever and unusual, the pricing is reasonable (and makes you realise how much other brands mark their products up!) and Charlotte is one of my favourite people I have met through Twitter and blogging. 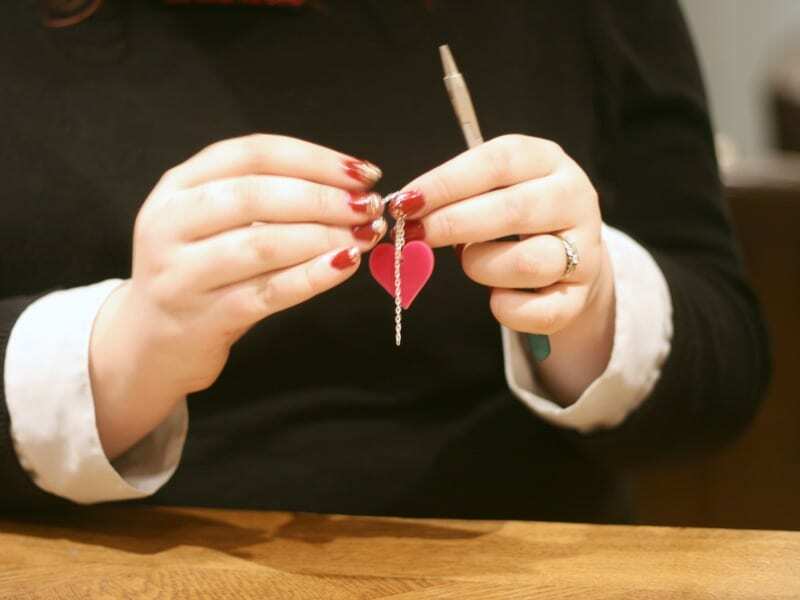 When she was looking at doing a jewellery workshop last year, I helped out by sending her a few places that she could approach to do a workshop, and after a few months, there was finally a date set for a workshop in Bristol. Held at the Crazy Fox in St James’ Arcade in Broadmead (which if you haven’t been there for a while, you really must visit! There are some wonderful independent shops in there, including Milliners Guild who have recently moved to a larger shop), a few of us piled upstairs after work one night for cups of tea, bottles of cider and a lot of chatting – oh, and making our own necklaces and earrings! 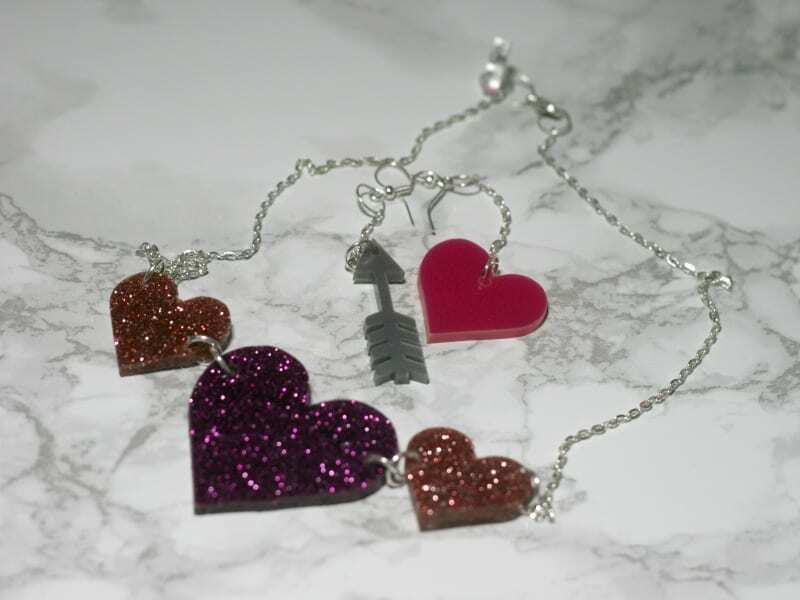 First up was a set of earrings – for the Valentine theme, it was a heart and an arrow. Charlotte started off simple and showed us how to open and close a jump ring to be able to attach things together. The little pack we were given had the heart and arrow, a piece of chain, four jump rings and two earring hooks. Despite this, I don’t think there was one pair of earrings the same! We took a little break to top up our cups (and our bellies – go for the cookies at the Crazy Fox, you won’t regret it!) 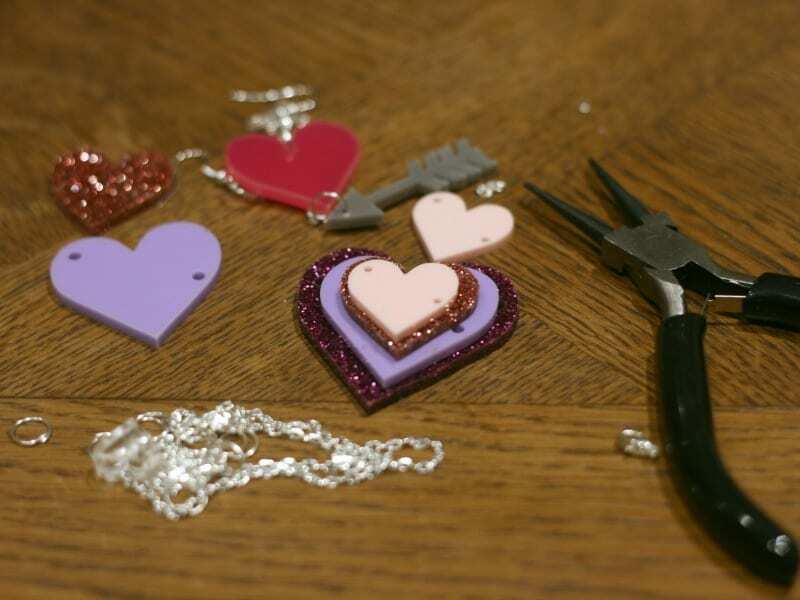 and when we returned, we found a selection of hearts at our places, with more chain, jump rings and a clasp – everything needed to make your own necklace. Charlotte had also brought along some spare pieces, so we dove in and started playing around with the shapes. I went for a simple three heart design – I couldn’t resist the beautiful new glitter that Charlotte had just picked up that week! Black Heart Creatives are aiming to hold more events like this on a regular basis, but if you’re holding your own event, then you could hire them to run a hen do activity or perhaps for a birthday party activity? Thank you Black Heart Creatives for inviting me to come and try my hand at jewellery making – I’m already looking forward to the next event!